I haven’t read it yet as it only arrived yesterday, but am greatly looking forward to it. 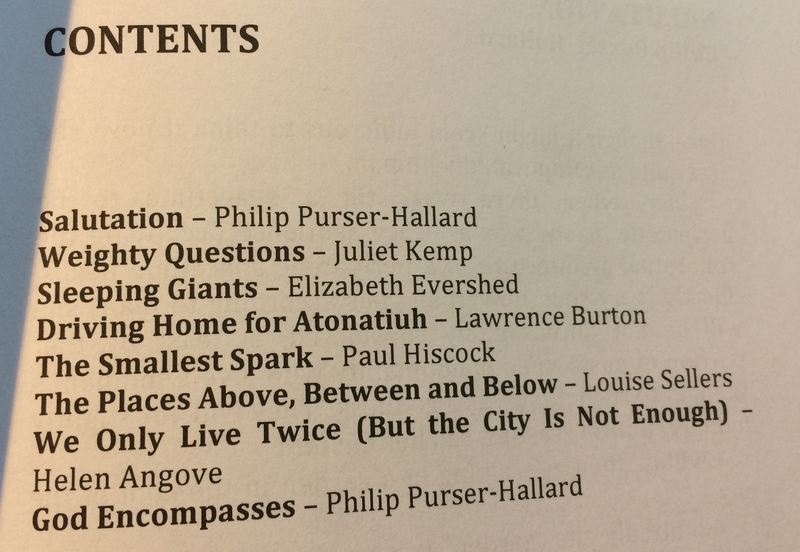 Some of the titles look especially interesting, but I may have to start with Helen Angove’s story. Look what came through the letterbox yesterday! 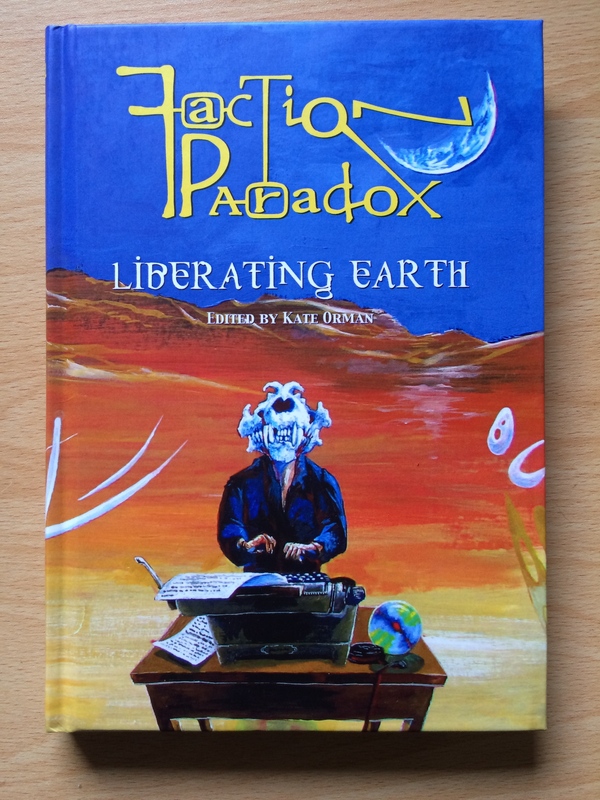 A brand new Faction Paradox collection, featuring a story by me, among eight others. I haven’t yet read the others, as it only arrived yesterday, but I am greatly looking forward to them; especially the frame story by Kate Orman. Available now from Obverse Books (hardback) or on Kindle. In other news, I have begun revising the novel I’m working on at the moment. It is a bit like trying to put together a really big jigsaw puzzle in several dimensions, when you keep discovering that some of the pieces are missing, and other pieces that aren’t missing are actually from another puzzle altogether. The Goblin Emperor, by Katherine Addison, has been on my to-read list for a while. This is partly due to seeing generally positive things about it in many places, and partly because Katherine Addison was previously known as Sarah Monette. Sarah Monette wrote Melusine, which I read and thoroughly enjoyed, but by the time I discovered this, the remaining three novels in the series were annoyingly out of print. * The Goblin Emperor finally got bumped up to the top of the list after reading this review by Justin Landon, which mentioned both that it’s a work of genius, and, more importantly, that the protagonist, Maia, is actually nice. As Landon observes, good-person protagonists are an increasing rarity in spec-fic. One of the other books I read recently was God’s War (Bel Dame Apocrypha #1), by Kameron Hurley. It too, in a different way, is an excellent book, but it’s a grim read, and protagonist Nyx is a long way from any descriptor like “nice” or “good”. I freely admit that I prefer my reading matter a bit on the positive side, and recently that seems to have been in short supply. Anyway. I started out on The Goblin Emperor, and I fell in love, ooh, about three pages in. Maybe two. I galloped greedily and joyously through the first 3/4 of it, and then I slowed way down in the despairing knowledge that it was going to run out, and there are no sequels or anything (yet? please let it be ‘yet’). Then I did come to the end, and I stared thoughtfully at my Kindle, and then I hit the “go to start” button and I read it all over again. I managed not to read it a third time after that, but it was a close-run thing. For a more thorough review, try Strange Horizons or The Book Smugglers or Tor (spoiler: they all loved it too). But what did I love about it? I loved the detailed world-building (airships and court politics and social structures and all the rest of it), and the gradual reveal of new parts and new aspects to existing parts. It’s beautifully handled, with confusion created and resolved at just the right rate. I loved Maia, the protagonist. (I really loved Maia.) He is, as Landon said, genuinely a good person. Not a perfect person; but someone trying to do their best, trying to do good in the world. I loved the racial and gender politics; again, beautifully and lightly handled. I loved the court politics and the wonderfully-observed government structures. I loved the interpersonal relationships. I also loved that it didn’t go for the “race to the grim” option; bad things happen, but they don’t feel gratuitous, and they don’t feel like the author is trying to demonstrate how TOUGH they are**. Above everything else, I loved the feel of it; as several of the reviewers above mention, it is a warm, satisfying book that left me feeling better about the world. I cannot recommend this highly enough, if you’re remotely into fantasy. And I really, desperately hope that there’s a sequel. In the meantime, I might just have to read it again. * After reading this book, I now finally have them all on their way second-hand. ** I have this beef with quite a few recent spec-fic novels. Inside the hall, folios (albeit only single-volume) were piled high on booksellers’ tables. Weighty, academic books with lots of long words. Now, I have nothing against academic books with long words (I no longer buy them, because I don’t read them*, but I have nothing against them), but Voltaire, I think, had a point. Rare is the currently-unconvinced individual whose mind will be changed by this stuff. I suppose attendees at the London Radical Bookfair are likely to be the already-converted, so perhaps the booksellers simply know their market. But I’m their market too (aren’t I?) and I wasn’t buying. Where, too, was the fiction? Long or short. Perhaps I am biased in my faith that stories can change the world; but if they can, no one here was doing much to try that out. Upstairs were the zines. Plenty of pamphlets here; beautiful ones, too. And yet — what happened to the words? I’m sure zines used to have a mixture: plenty of just-word stuff, some half-and-half, some comic-style graphical storytelling, some straight art. Everything I saw on Saturday was heavy on the graphics end of things. Gorgeous, but word-light. Which is fine (if not my thing), but still — where have the words gone? Online, possibly. Maybe words are better suited to screens; maybe artists have more incentive to create physical objects with their art. It seems faintly unsatisfying to me – why shouldn’t writers** want or get to create physical things too? Do the readers of plain words just not want physical things? Or is this the reflection of the ebook era? After all, when it comes to getting the word out there, online has the edge, no question. If Voltaire were writing now, his pamphlets would be blogs. Perhaps, then, that is the explanation. The pamphlets and words and even the fiction live online, and it is the art and the long, deeply academic works that still need a physical form. Maybe that is a good thing, or at any rate not a bad one; maybe it is neither good nor bad, but just a thing. And yet, I do wish that I’d been able to come away with my bag full of short stories and long ones and pamphlet-sized calls to action. * The first anarchist bookfair I went to was in San Francisco, in 1999. I bought a compendium of the zine Temp Slave, and a book of anarchist essays. Temp Slave is dog-eared at the corners, and undoubtedly affected my attitude to the world of work; the anarchist essays remain unread. ** Non-artist writers, I mean, who do not also want to draw. 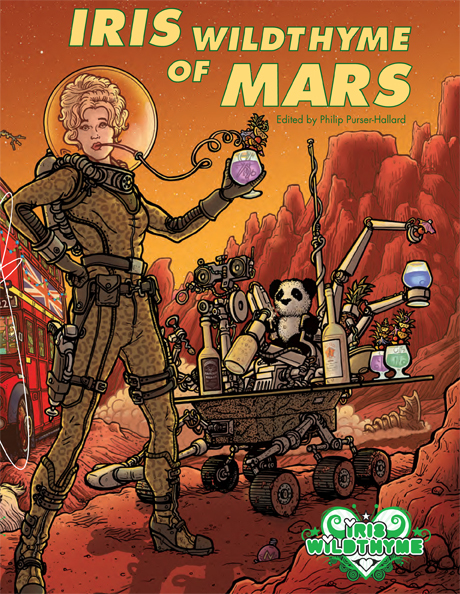 The author list for “Iris Wildthyme of Mars” (ed Philip Purser-Hallard), due out this summer from Obverse Books, was announced this week, and I am on it! 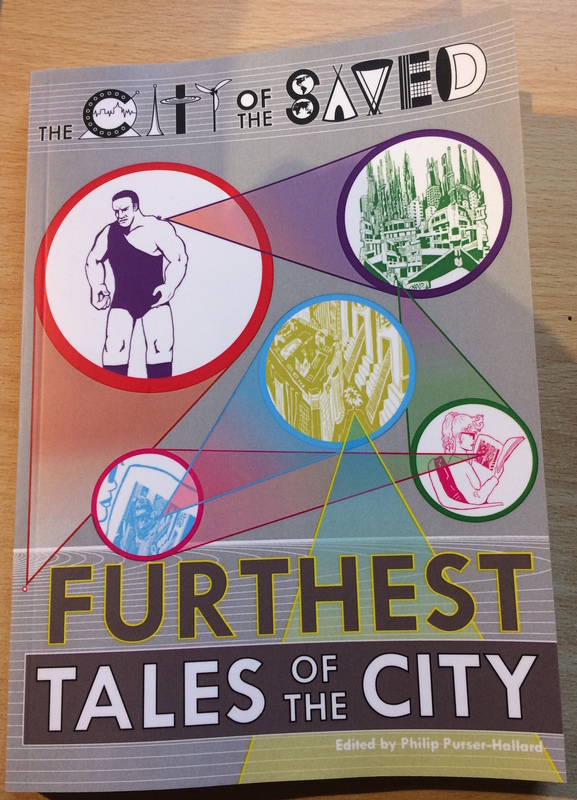 I’m looking forward to reading the other stories (I’ve already read a first draft of one of them, and it was great; and I’m familiar with previous work from several of the other authors), and to the book coming out. Watch this space, and so on. The anthology Strange Bedfellows, from Bundoran Press, is on sale now (wherever books are sold, and also specifically direct from the publisher or from Amazon UK). My story Blocking features it.